how can i place the thumbs to the left of the main image instead of placed on bottom of the main image? Mabe it is a good feature for your gallery extension. Could you tell me which exactly plugin you use? Can you send me a link on your site? 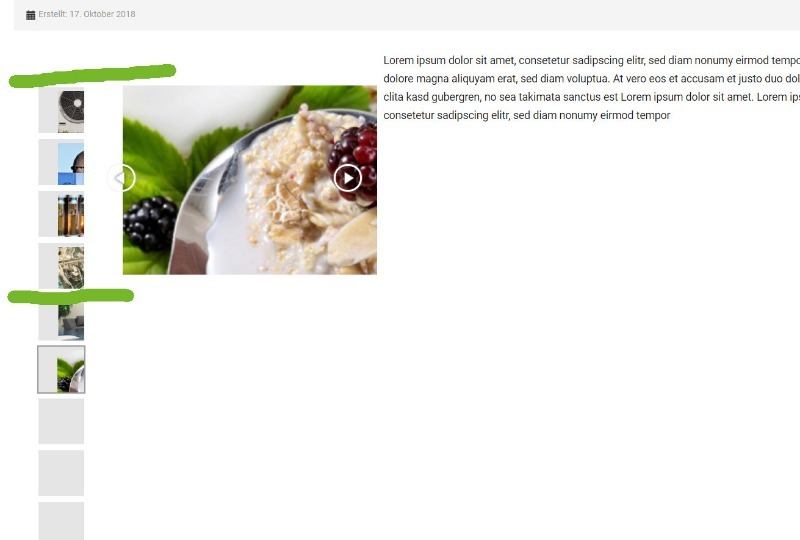 i use the joomla article Images Upload and Gallery plugin. Can i send you the link to the site in any more secret way? The customer don´t want to make the production site public. thank you very much! It looks like it work nice! Only one thing is finally to say. Now all the image thumbs show in a long line verticaly. Is it possible to put a max view of thumbs mabe 5 to 6 and the other thumbs into a scrolling box or like it was bevor a max-lenght of the thumbs box ? I hope the image in attachments shows what i mean. Sorry, it will require more coding. Remove all previously added styles.